Rhonda, a forty-five-year-old single mother of two teens, does all she can to take care of her aging parents. Her father has dementia and her mother has diabetes and hypertension, but both are still mobile and insistent that they can live at home. Rhonda has reduced her hours at her office job to accompany her parents to physician appointments and tend to their other needs. Her income has dropped due to the reduction in her work hours, so Rhonda has also stopped contributing to her retirement plan. The expenses of two teenagers and frequent out-of-pocket expenditures for her parents’ groceries has stretched her finances to the limit. Moreover, the stress of balancing her caregiving responsibilities is impacting Rhonda’s own mental and physical health. She wonders bleakly what her own future holds. As caregivers and recipients of care, American women shoulder a disproportionate economic burden. Women typically take on more unpaid caregiving responsibilities than men do, resulting in lost or reduced wages and career opportunities. And when they age, women are more likely to experience higher rates of poverty, chronic illness and disability, especially those who are minorities or socioeconomically disadvantaged. These inequities stem from several factors, such as social norms about who should provide care and the undervaluing of caregiving in our society. The low status and wages of direct care workers, as well as lack of supports for unpaid caregivers, perpetuates gender-based health disparities and inequities in the healthcare system. Millions of older women, who are more likely to be poor than men of similar age, are likely to be cared for by low-income, low status young women. Healthcare disparity is a concern for everyone since it involves such a large percentage of the population and contributes to escalating healthcare costs. A recent study shows that insufficient insurance coverage, the rising cost of healthcare and prescription drugs, and disparity in access to healthcare services has negatively impacted the elderly population. A large number of older adults delay or forego care because of the financial burden, which can lead to more serious illness and hospitalization down the road. There are no easy answers to resolving the racial and gender inequalities in long-term care and in healthcare in general. 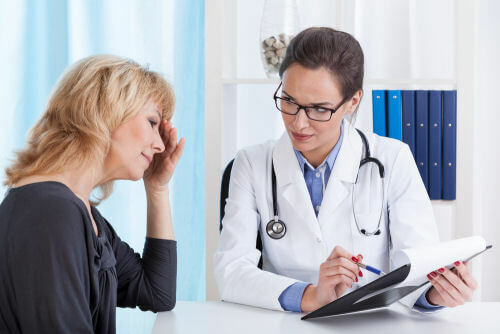 Concepts such as the medical home, where patients’ care is coordinated and they can get most services in one place, has shown positive outcomes in terms of chronic disease management. The medical home model also stresses the importance of connecting individuals to social services and community resources that support good health.